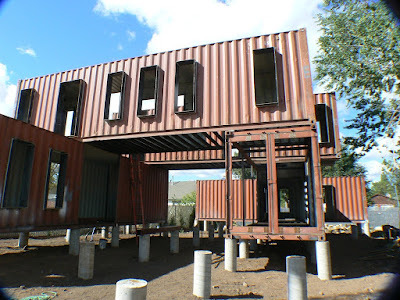 Shipping container office allow the building of not only a durable but also a relatively more economic friendly office. This is because this material is very strong thus ensuring the office’s durability and the general cost of making it is roughly about half the price of an average modern office. 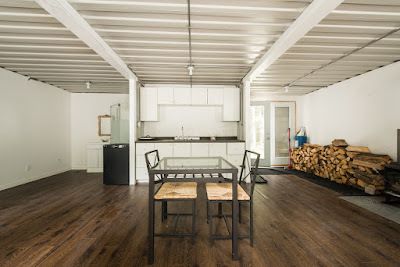 Thus, it is important to have the know-how in making the shipping container office. This creates an easily accessible entry since the door is at the ground level. The rebar secured openings provide a free entry of the cool natural light and also free fresh air. The nicely placed interior walls provide an awesomely free workspace to conduct the office activities. This heavy duty floor provides a relatively more stable workspace. It’s supported by the general container structure offers come protection to the interior office equipment. This allows all the business operations to run smoothly as the employees enjoy a comfortably good environment inside it. These may include air-conditioner and other luxuries that the office owner may wish to install to ensure a comfortable working environment. Despite the fact that you’ll have successfully bought the shipping containers, you’ll also have to put into consideration other building-related activities. These activities include plumbing, windows, insulation without forgetting laying a very solid and firm foundation. Ideally, this is the initial stage of almost all structures. Here, it depends on your choice of the material used. However, traditionally, very many people opt to use concrete blocks. This is because they are not only efficient but also affordable. It is this thin but strong foundation (to support all the weight of the container and also that of the office furniture) that will make container relatively high above the ground. The container is thus laid on top of this dry and strong thin concrete blocks foundation. Lay down your floor. Most containers have in-built plywood. But this has some health impacts on humans since are usually pesticide-sprayed. The interior structural modification and partitioning will depend on several factors. One of them being the type of office layout one wish to adopt. These layouts include open, closed or landscape office layout. To avoid hindering the structural integrity of the container, it is recommended that you seek a structural engineer to guide you through. Conventionally, it is commendable that you perform all the welding, cutting and even reinforcement off the site. These may include the window and door frames. Moreover, cutting through heavy steel may prove a tiresome task; however, with the use of plasma cutters, this makes the cutting relatively easier. This is because they melt the metal as the cutting process continues. Once you are done with all the cutting, the next step is to fit the sections into the container. This will create the overall layout of the office since all the partitions will have been done. Add a roof. This should be made in a perfect design. However, the traditional design is preferable as it ensures that water flows better and also provides you with an option of installing a solar panel (if you so wish). After the roof is properly fit, now go ahead to install the windows and exterior doors that you have cut. It is recommended that you set all the outside doors and windows into the premeasured openings. After they have been properly installed, now frame them with the steel sections. Because of the nature of the material making the container, it can be extremely hot or cold inside depending on the external temperature. However, to stop these external temperatures from much influencing the temperature inside it, a proper insulation needs to be applied. Attach a layer of foam insulator to both inside and outside the container. This insulation will also prevent the dripping of any leaking moisture. Alternatively, other people prefer the use of NASA-style ceramic base paints on the walls. This has proven to produce excellent results since they are highly adsorbent thus easily sticks onto the metal with ease. This also prevents rusting. Do the necessary wiring and plumbing. This will ensure that all the office equipment that runs of electricity (e.g. computer, printer etc.) are catered for. Poor placement has been one of the very common mistakes done by people as far as shipping containers are concerned. These shipping container offices should not be placed in a low lying area. This is because, because of their "near-to-ground’ level, it will be very much easier for water to sip in when it rains. Also, areas that are known to be prone to flooding should be avoided when choosing a place to place the shipping office container. In addition to that, desert areas are also one of the places where shipping container offices should not be placed because they can get extremely hot due to the external temperature. However, if it’s absolutely necessary, then special features should be installed to counter the high temperatures. These include the installation of powerful air conditioners and also using foam insulators. In addition to that, it is worth to note that, due to their heavy weight and also high height, these containers need folk lifts to comfortably shift their relative positions. The price of containers varies but on average a single shipping container ranges between $1800 - $2400. The interior office equipment depends on very many factors like the type of office layout, the functions of the office among others. It is an indisputable fact that shipping container offices are increasing in their popularity as more people are turning the cargo container structures into meaningful office premises. 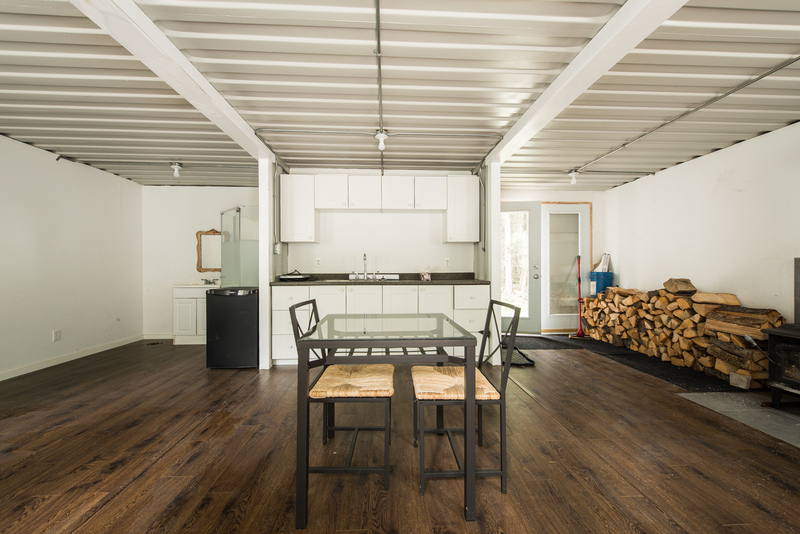 Utilizing the surplus shipping containers at home by turning them into offices can be very creative idea which has proven to be relatively cheaper. No trees needs to be cut down hence environmental friendly and also no metal need to me mined and smelted to get an awesomely furnished office. These eco-friendly alternatives will, in the near future, be adopted by a significant number of businessmen in designing their offices.